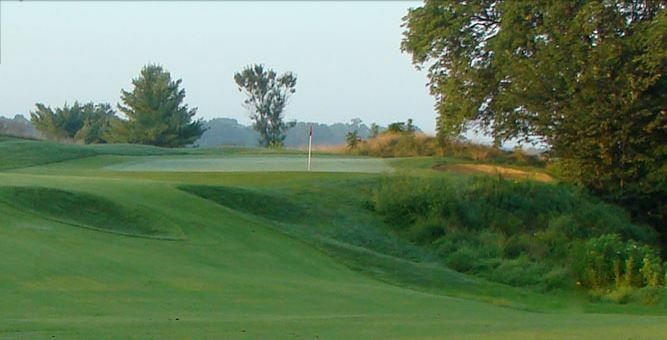 Louisville Golf Information | Golf Specials, Courses, Maps, Weather, and Lodging. 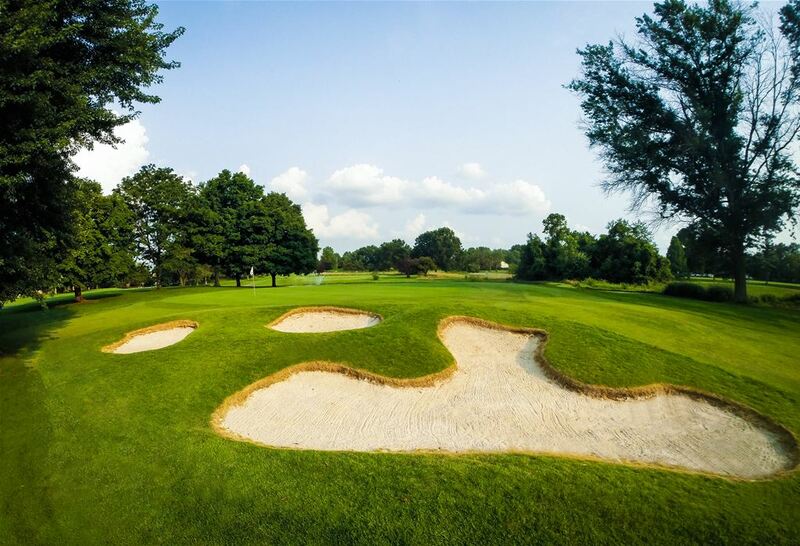 Louisville golf packages offer 4 championship caliber golf courses conveniently located within minutes from either downtown or Horseshoe Indiana casino. Our golfers can stay in beautiful downtown at the Sheraton, Clarion Inn or try their luck at the tables by staying at the Horseshoe Casino just over the river in Indiana. The Sheraton has terrific views of the riverside and many local restaurants as well as 4th Street is just a walk from your hotel. 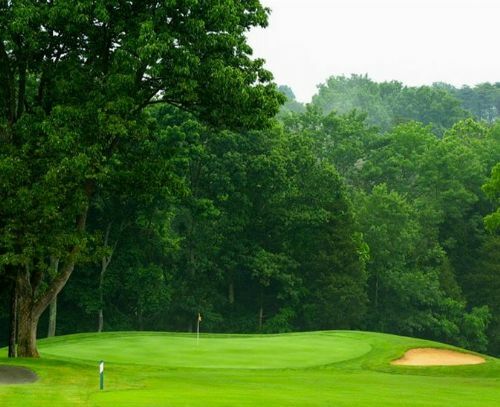 Clarion Inn is a great option for those golfers looking for a full service hotel centrally located close the highway making it easy to find your way to all of our courses. 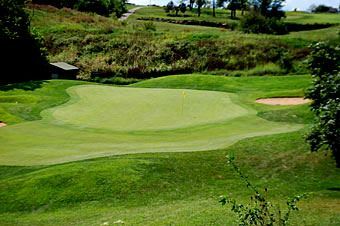 Horseshoe Indiana offers unbelievable packages pairing up their own course Chariot's Run with other courses close to the casino such as Heritage Hill Golf Club or Quail Chase Golf Club. My Golf Vacation can custom design your Louisville golf package with some of finest golf courses in Kentucky or Indiana along with lodging that will comfortably host your group. Louisville is also a great golf destination with championship level golf and challenging layouts that will test every golfer. 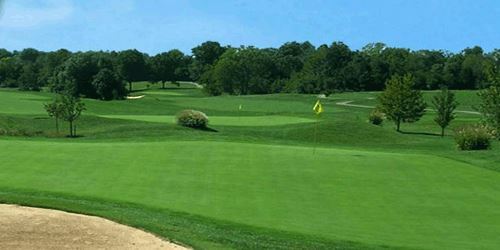 Louisville has some terrific golf courses including Fuzzy Zoeller golf courses Champions Pointe and Covered Bridge, Heritage Hills Golf Club and Chariot's Run Golf Course. 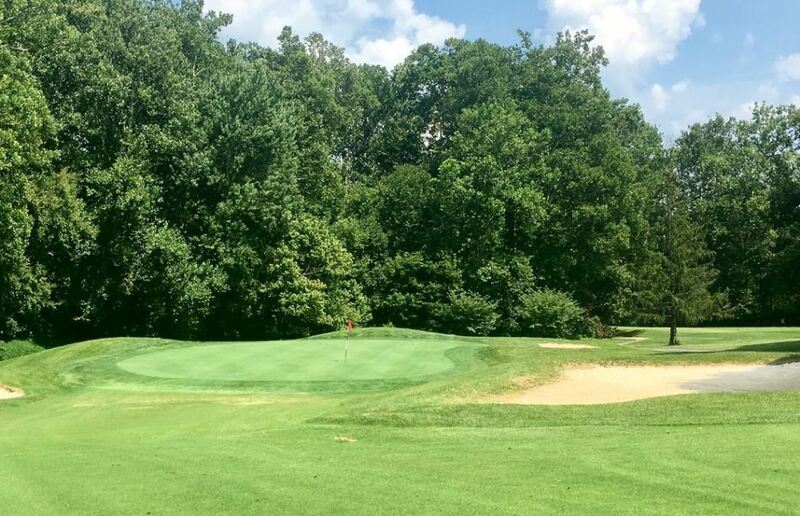 Heritage Hills GC is a hidden gem just South of town in Shepardsville that is beautifully contoured with great conditions and scenic views of the Louisville countryside. Former Jack Nicklaus design associate Doug Beach planned the 7100 plus yard golf amenity to test all abilities of golfers. The golf course sports bent grass greens and Zoysia tees and fairways with 5 star service from its employees. 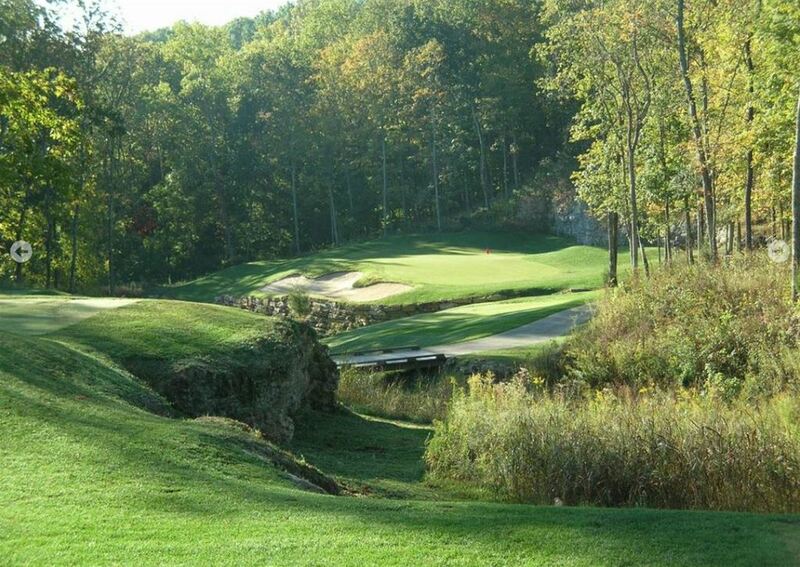 Ranked #1 in GolfWeek Magazine's 2013 places to play in Kentucky. Fuzzy Zoeller did a masterful job in designing the to sister courses Coverd Bridge and Champions Pointe. Located just across the river in Sellersburg, Covered Bridge is a Clyde Johnson design with panaramic view of beautiful Southern Indiana and famous Floyd's Knobs. Gently contoured with rolling plains and strategic bunkers placed on Zoysia fairways, the course is designed to be challenging but not punishing. 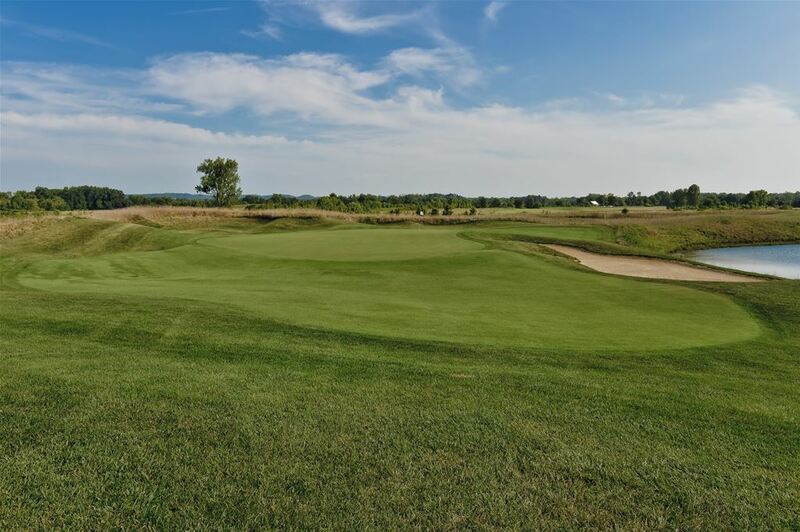 Champion's Pointe is designed with multiple lakes and slightly undulating greens in a gorgeous golf setting just about 15 minutes from its sister course Covered Bridge. 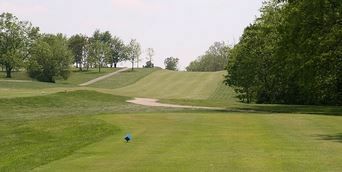 It is a fair tesst to all golfers and is a perfect compliment to add on your golf package to Louisville. Chariot's Run is our latest addition and is the home course for visitors staying at the Horseshoe Indiana casino. The course is not located on-site with the casino, but is just minutes away with challenging play and beautiful conditions. Chariot's run features spectacular equestrian-themed golf with more than 7200 yards of lush fairways, sparkling laks and beautiful trees. Both serious and novice golfers will appreciate the beauty of Chariot's Run. Louisville offers different lodging to fit every group's needs. With a couple of great options in the Sheraton and Clarion that are just across the bridge from downtown Louisville in Indiana. The Sheraton provides a real nice relaxing hotel that is walking distance from restaurant, bars, and provides deluxe club level rooms if your group is looking for that something a little extra in there lodging option. The Horseshoe Casino Hotel sits about 40 minutes away from Louisville and provides quality lodging with some night time entertianment as well. The Best Western in Shepardsville offers a southside option and great location depending the courses that you wish to choose to play. Louisville lodging is great for any Kentucky golf packages. Louisville is the largest city in the Commenwelth and the state's only first class city. Louisvile is home to the Louisville Slugger museum, and is also home to the most exciting 3 minutes in sports, the Kentucky Derby, which is hosted by Churchill Downs takes place on the first Saturday in May every year. Louisville is considered the central hub for golf in the state of Kentucky. 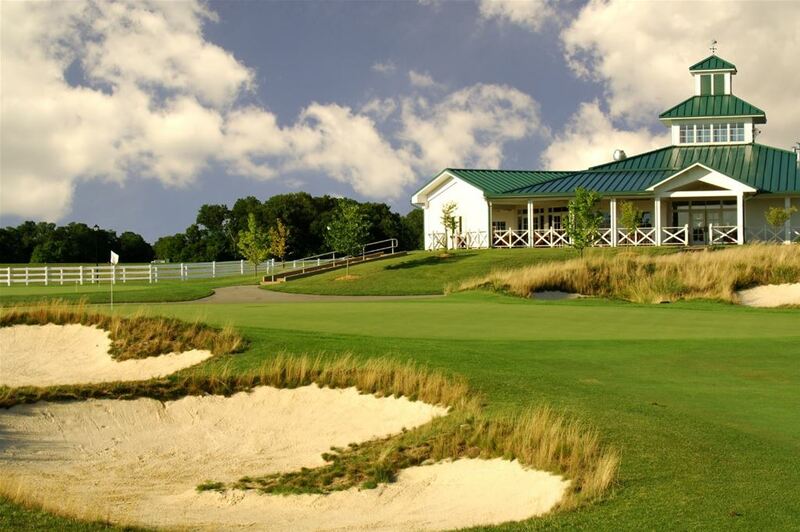 It has the most golf courses per square mile in the state and is home to Golf House Kentucky, which conducts every golf tournament for juniors, amatures, and professionals throughout the entire state. Find Online Rates for Louisville Golf Packages by clicking here. Request a Personalized Louisville Golf Quote from our Golf Consultants by clicking here.